It has never been easier to make professional and intricately designed QR Codes for all purposes within minutes. Your QR Codes have never looked better! Free Download Learn more . . .
Customize your QR Codes with your own logo in the code. With your branding your QR Codes are unique so you stand out from your competitors and create a recall value. With just one click, your logo is completely exempt from the dark bits and floats on the image. Of course you can use instead of the logo any graphic including alpha channel transparency. Are square blocks too simple for you? With our elaborate patterns you can customize the whole look with just one click to your wishes and give your QR Code a personal touch. Choose the right one from several templates or create your own individual pattern. All patterns have optional adjustable 3D effects, so your QR Codes can seem plastically. With the shadow function, your QR Codes even get more depth. Let the dark bits float on the bright background and cast a shadow. This works with all patterns an with square bits. You can set shadow color, blur, intensity, distance and direction. 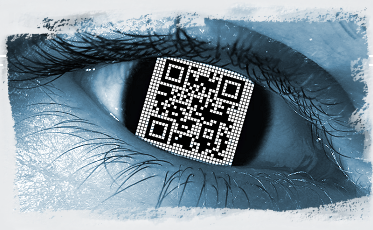 Optimise your QR codes with individual brilliance or color effects, whether brightness levels, beam, circles or waves, etc.. Choose from our effect templates or create your own effects. You can adjust the effect color also as intensity and direction. Use your own pictures or patterns – for both the bright background and the dark bits. To ensure the optimum contrast for easy readability of your QR Codes, you can adjust the transparency of the images freely. This also works in combination with our pattern templates. With our painting tools individual bits can be colored and contiguous areas can be filled in with colors – both on the dark squares as well as the background. Also set bits can be cleared and vice versa, so that you get additional design options. Enhance your QR Codes with appealing frames eg with a colored border or stamp look. The images are created with appropriate transparency in PNG format and can be used directly on your website. 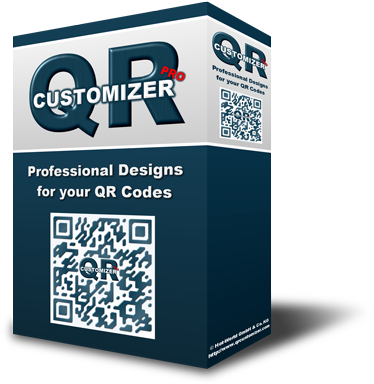 QR Customizer Pro is a useful and reliable software that helps you to generate personalized QR codes for your business. It happens that QR Codes are covered over with alien QR Codes and your users get directed to other websites in order to steal customers or to distribute malicious code. We recommend you always to use a logo, a particular pattern or custom colors to distinguish your QR Codes from fakes and competitors. QR Customizer Pro © Hot-World GmbH & Co. KG | QR Code is a registered trademark of DENSO WAVE INCORPORATED.